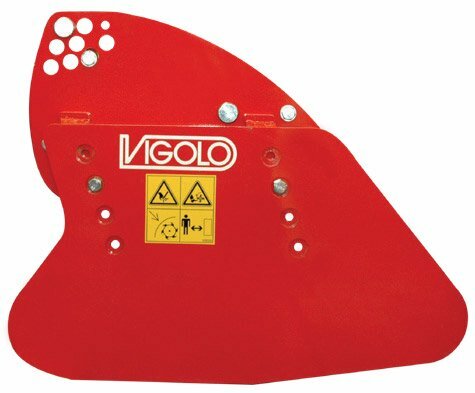 In order to guarantee the right strength and technical efficiency during use, Vigolo has developed various headstocks named SC-15, SC-20, SC-25 and SC-30. 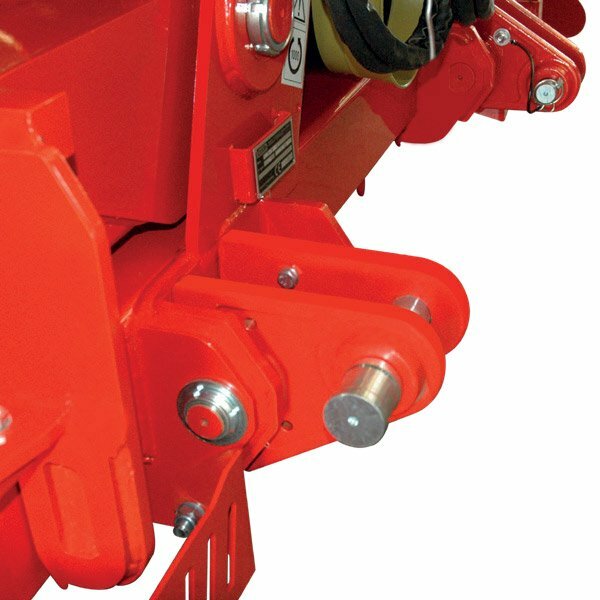 All variants of the top link frame are wellproportioned to the dimension and weight of the machine and are equipped with a safety locking system with an automatic hydraulic release. 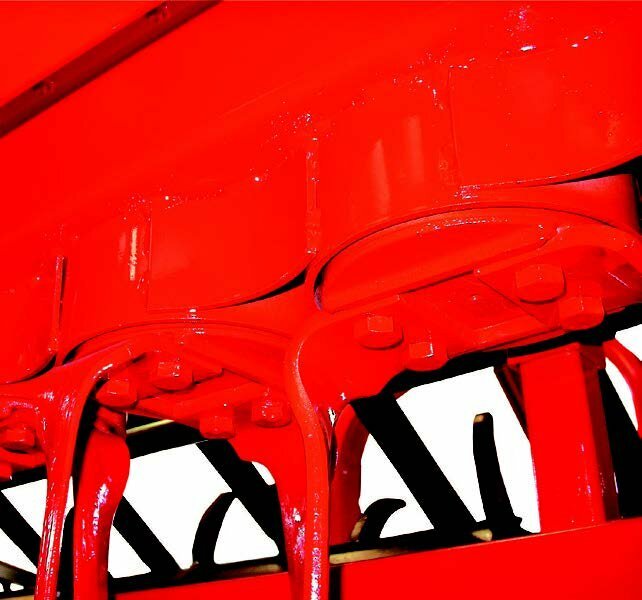 All folding rotary harrow models are fitted as standard with high-efficiency, single-speed side gearboxes (A8, G7 and G8) and strong, reliable central gearboxes. 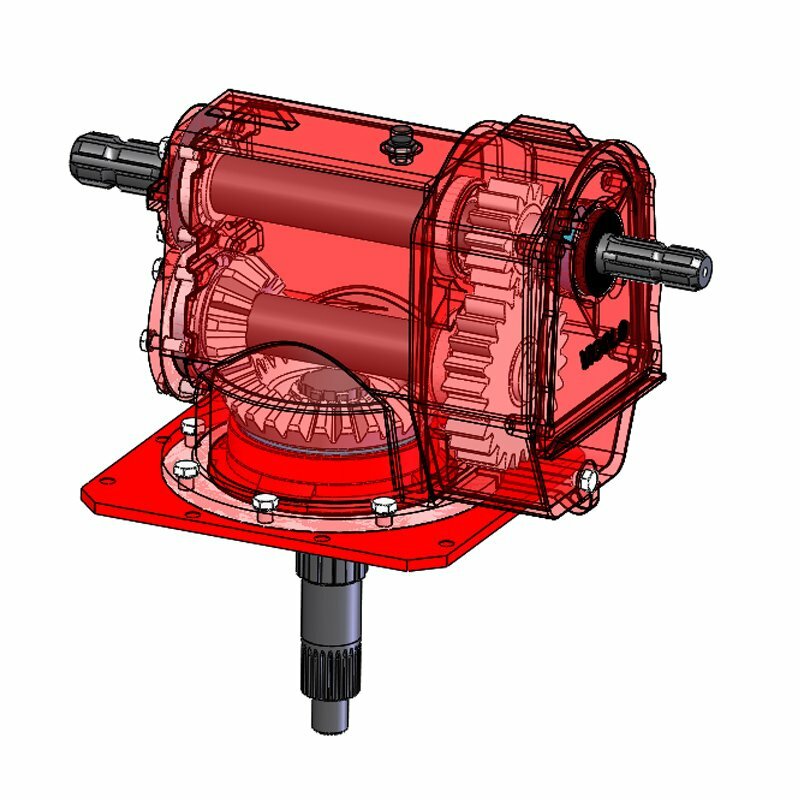 The wide range of angle transmissions and gearboxes can satisfy every need and always ensure excellent and durable performance. 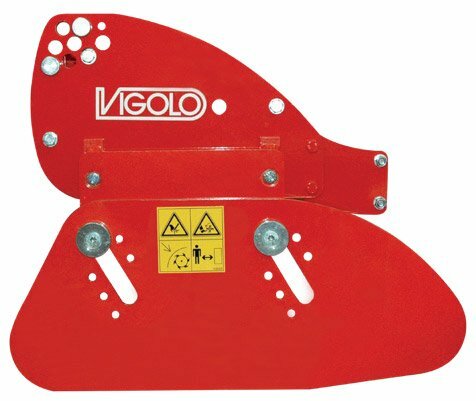 Vigolo supplies two types of damped endplates, one fixed (standard on the EPI and EPR models) and the other sliding (standard on the VPX, VPZ and VDB models, and optional on the others). 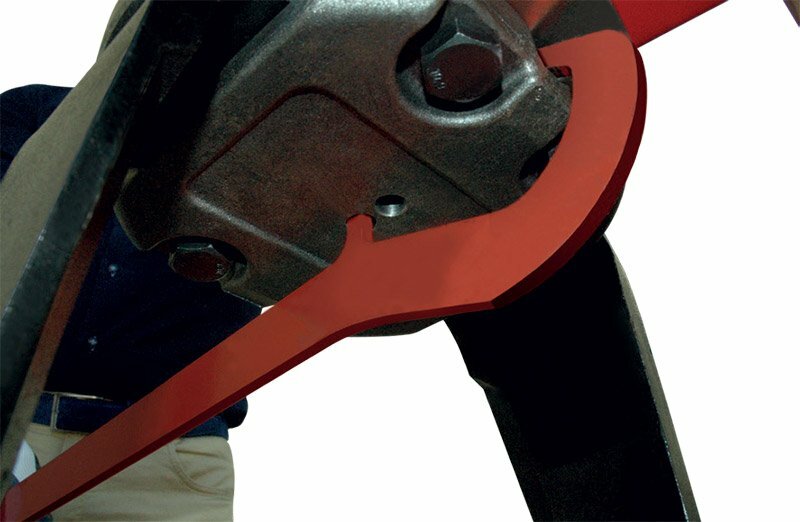 The sliding version is especially suitable for working on rough terrain. 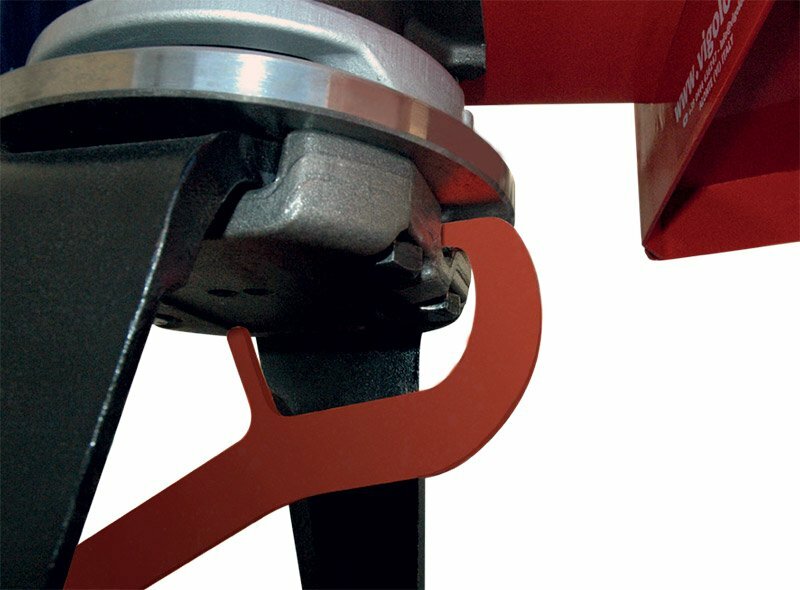 It is possible to adjust the height of bothendplate models, and they have internal springs to ensure that they adapt to the terrain. 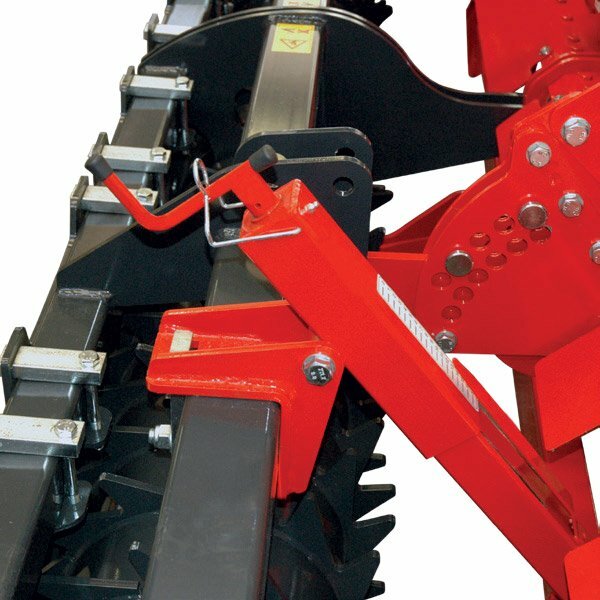 The levelling bar, which is mounted on the roller as standard, has an easy-to-use mechanical system for height adjustment. 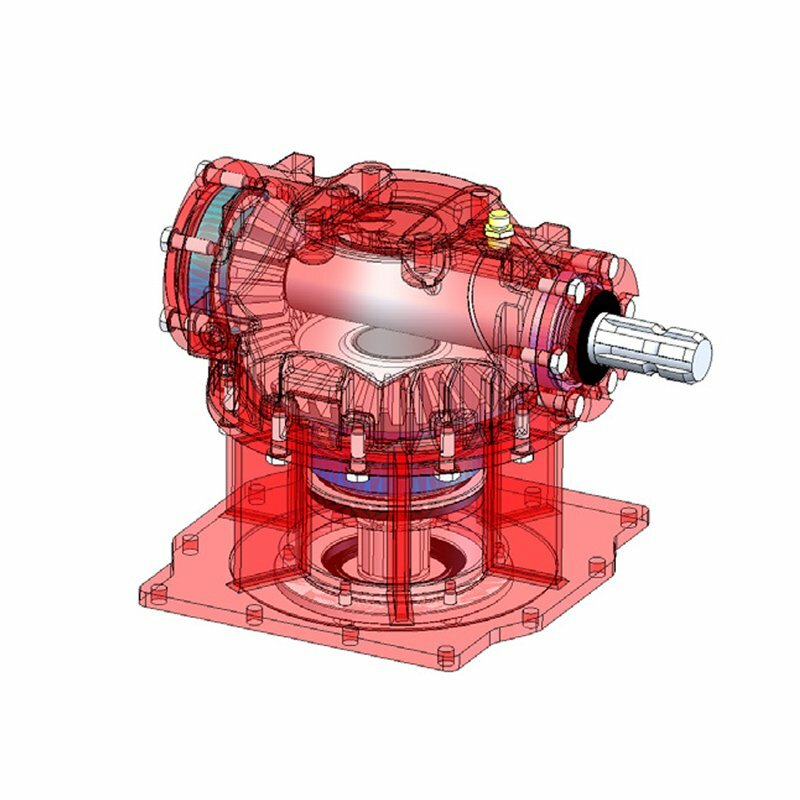 A version with hydraulic adjustment is available as an option. 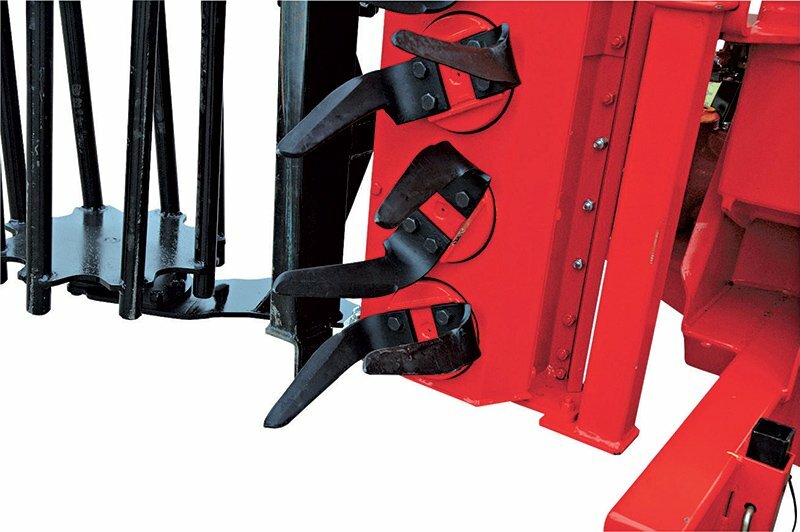 The levelling bar was designed to remain oblique with respect to the tines, regardless of the roller position while working. 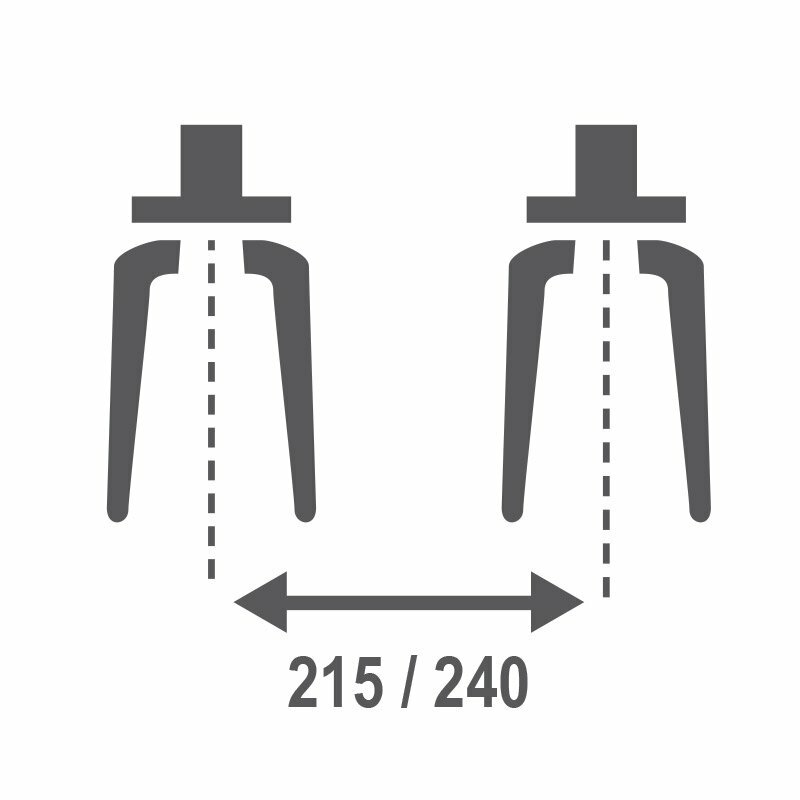 This technical solution was adopted to reduce the impact violence when hitting stones and to prevent soil from building up while working. 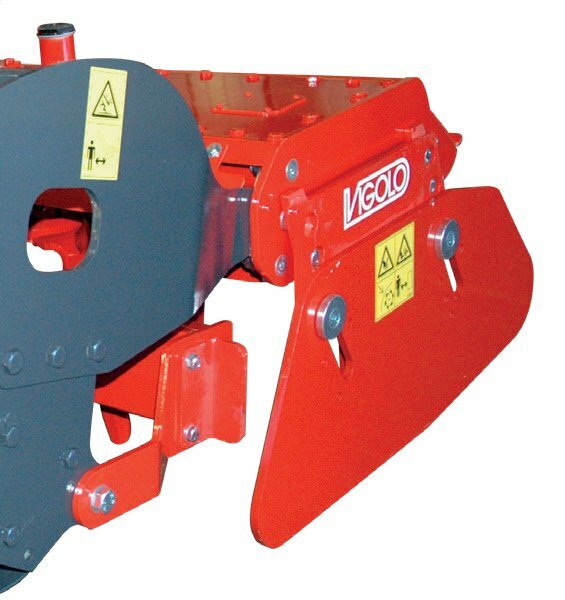 As an option, Vigolo also offers the levelling bar mounted on the machine. 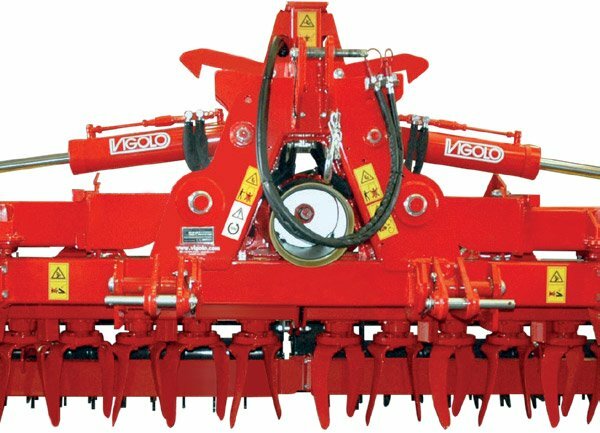 The Vigolo EPI and EPR folding rotary harrows follow the traditional build philosophy, which uses a ball-bearing transmission system. 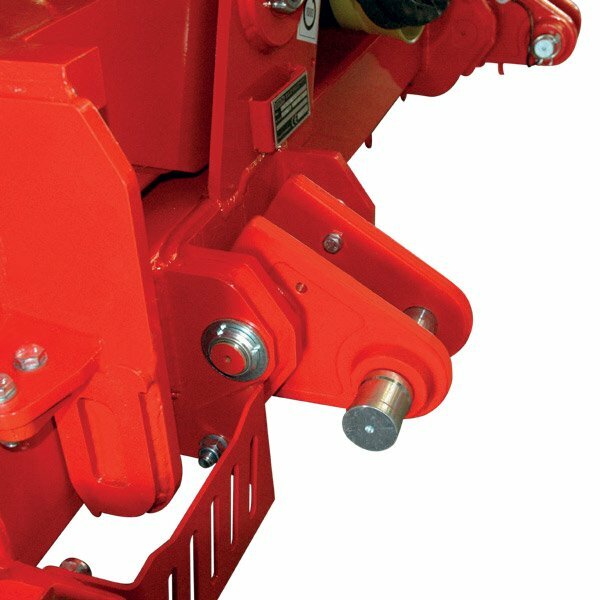 Whereas, the VPX, VPZ and VDB models benefit from Vigolo’s experience, which has led to an evolution in the transmission concept of rotary harrows: transmission with opposing taper roller bearings was designed for use on high-power tractors and guarantees high resistance, even in the toughest working conditions. 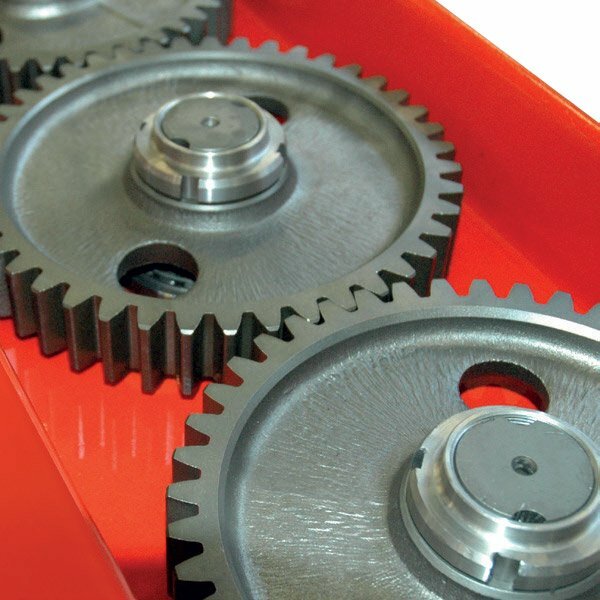 The gears in the transmission body are cut and machined in Vigolo plants, and then undergo heat treatment to increase their surface hardness, while retaining their internal toughness. 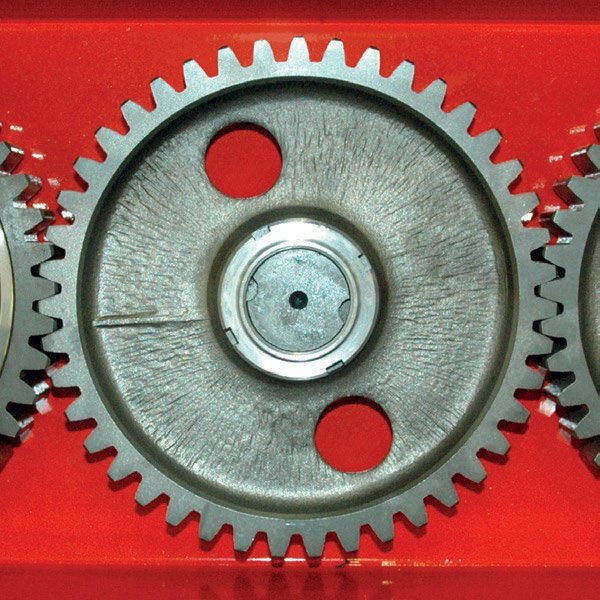 For this reason, the case-hardened gears mounted on Vigolo rotary harrows are extremely wear-resistant and ensure that the machines are highly reliable and durable. 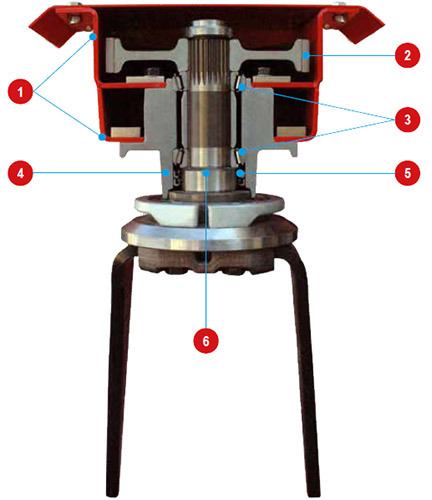 The needs of the terrain to be worked determine which pitch (distance between rotors) is most suitable. 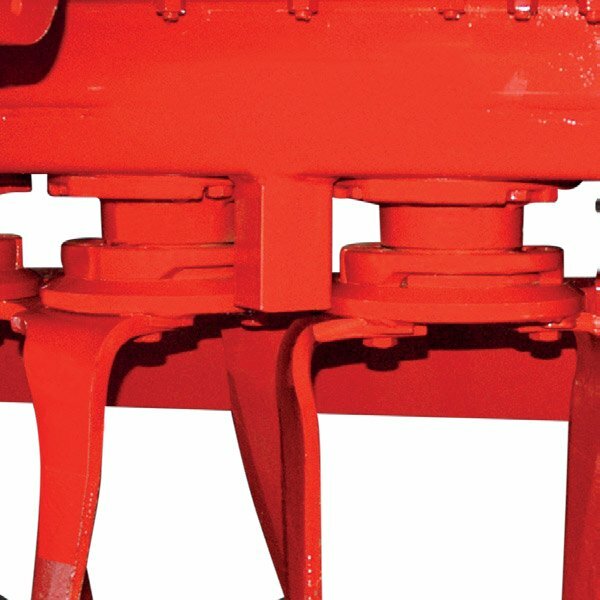 The Vigolo range of folding rotary harrows covers the widest working needs: for better soil finishing, we recommend a short pitch (215 mm, EPI and VPX models), while for terrains with a high stone density, the long pitch (240 mm, EPR, VPZ and VDB models) has proved to be the winning choice. 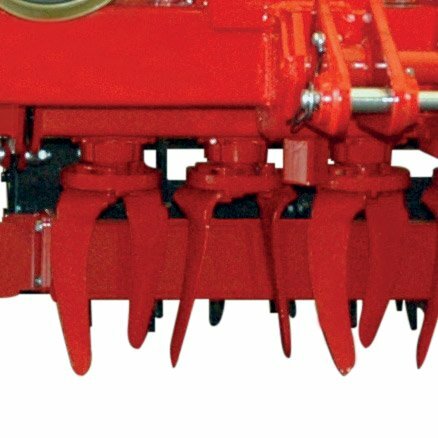 Vigolo’s special curved tines ensure that the harrow advances evenly and reduce vibrations during use. 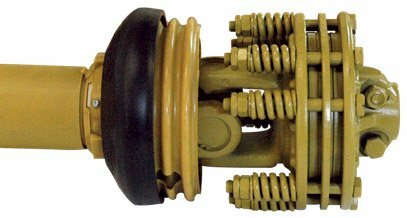 They prevent the soil from building up between the tools and are more effective at absorbing impacts with stones or banks of rock. 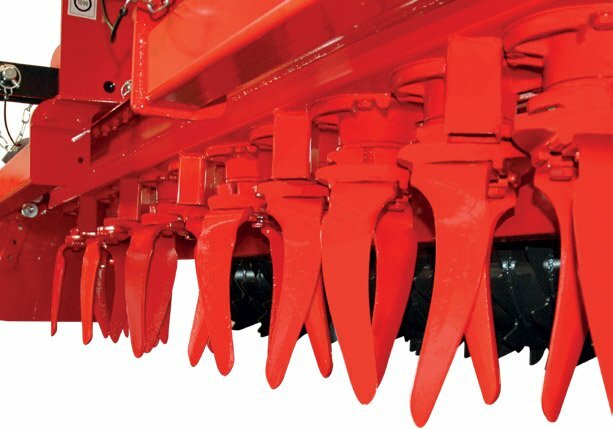 Optionally, the fixed position of the Vigolo folding rotary harrow can be changed to floating by removing a mechanical stop. 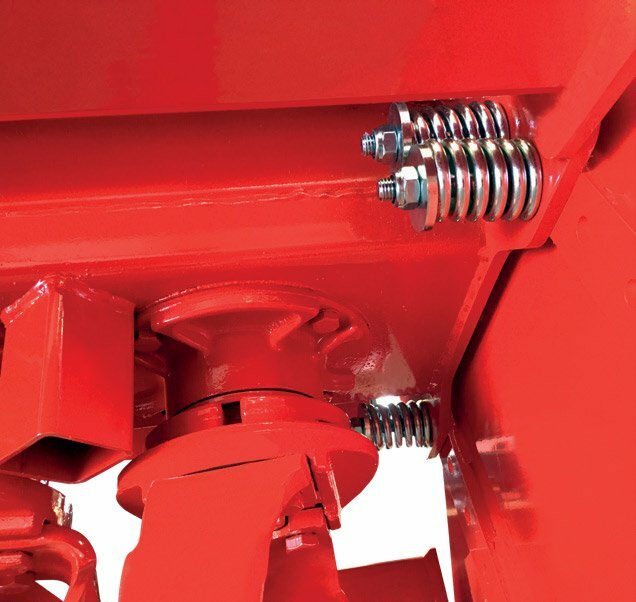 A hydraulic cylinder coupled with a chamber and plunger system allows the two machine bodies to take up different positions and adapt to the uneven or rough conformation of the terrain. 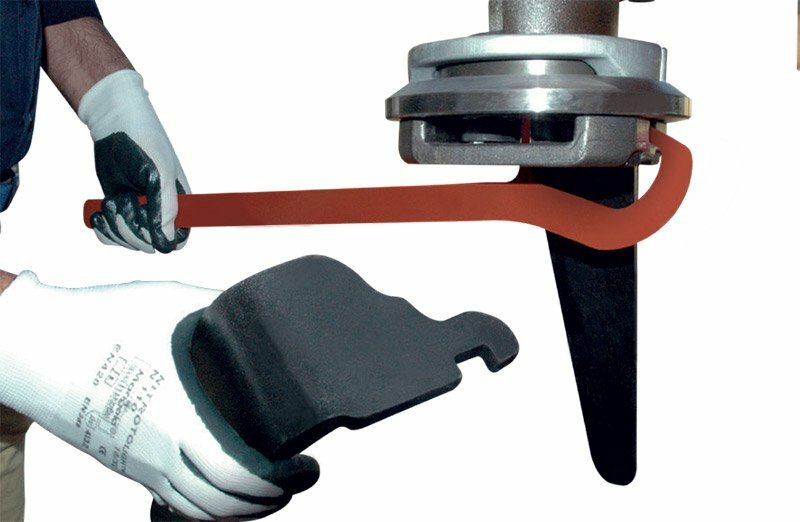 Vigolo ensures the highest working safety by providing as a standard piece of equipment the main cardan shaft with a safety clutch and the lateral cardan shafts with safety shear bolts. 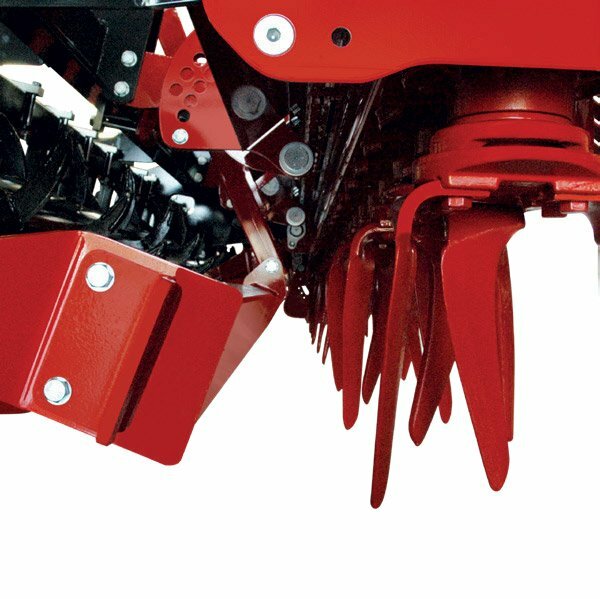 In order to reach great results, even on demanding work conditions, Vigolo offers as an option the lateral cardan shafts with cam clutch fitting tractors up to 500 hp.